OnePlus just pushed a minor update for its old OnePlus 3 and 3T smartphones. 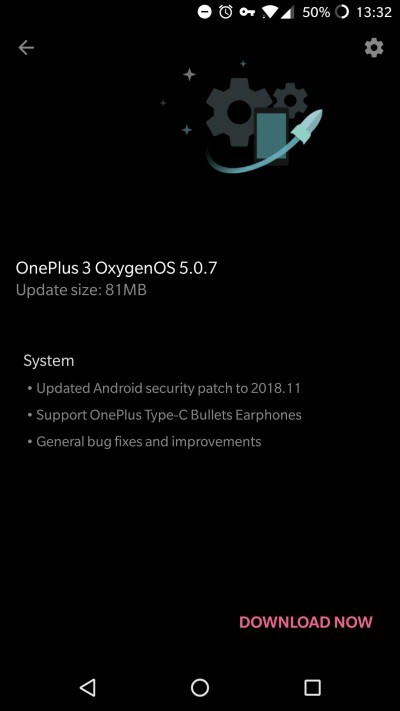 The OTA update bumps up the OxygenOS version to 5.0.7, squashes some bugs and brings Google's November security patch. 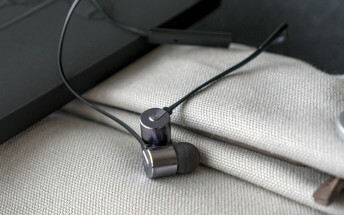 However, the most important bit about it is the added support for OnePlus' Type-C Bullets Earphones. Up until now, OnePlus 3 and 3T couldn't output audio through their USB-C connectors. Unfortunately, the changelog doesn't say anything about third-party USB-C headphones, but we assume those are supported too. To test them out, we've plugged in the OnePlus Type-C Bullets into a OnePlus 3 phone that's been laying around in the office, but to our surprise, the phone didn't recognize them. The earphones worked on other devices but refuse to play on the OnePlus 3 before and after the update. And there's no toggle in the settings menu either. Of course, it could be a unit-related issue. Have you tried them out with the new update?